12 months ago, Solar Bins Australia partnered with AFN Solutions and Cairns Regional Council which saw the installation of 4 Bigbelly Solar Compacting Recycling Bins. The Bigbellys were installed in several high-trafficked areas with the aim of providing a smarter, more sustainable waste management system as well as increasing recycling opportunities within the community. Since installation, the Bigbelly stations have compacted their way through over 50,000 litres of recycling waste. Furthermore, average monthly waste collections have been reduced by 80% which has consequently enabled huge operational savings for the Council. So how does a Bigbelly work? The Bigbelly uses the power of the sun to charge a 12-volt battery which powers a compaction unit inside of the station. This means that as waste fills up inside of the bin, it will eventually reach two, fill-level sensors that are located on either side which in turn trigger the compaction unit to squash the collected waste. The result is that the Bigbelly can collect 5 times the amount of waste as a standard 120L wheelie bin. The Bigbelly then notifies the collection team when it is ready for collection via text or email notification, meaning that the bins only need to be emptied when they are full. As well creating a more efficient, smart waste management system, Bigbellys also keep waste contained with the flagship hopper design which means waste overflow is prevented as well as pest access and wind-blown litter. The hopper design is also paramount in ensuring that members of the public are safe and without access to the internal compactor at all times. Our latest BB5 models are now also being shipped with a hopper sensor as standard. The addition of a hopper sensor means that that the hopper is now able to collect critical data about the station such as how many times the hopper has been opened each day, or if there have been any hopper jams etc. We look forward to our continued partnership with Cairns Regional Council and for assisting them in maintaining an optimised, smart waste management system for many years to come. 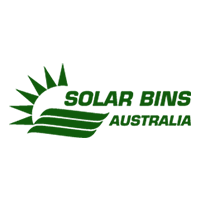 If you would like to find out more about how our smart waste technology could benefit your business or organisation, please feel free to speak with our friendly team on 1300 893 610 or via email sales@solarbins.com.au. We look forward to hearing from you.